The Walt Disney Family Museum is located at the Presidio in beautiful San Francisco California. 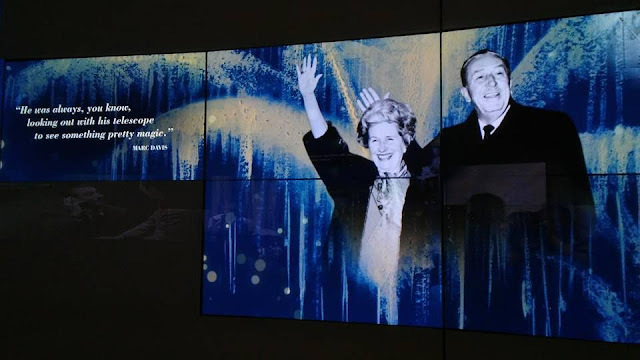 It’s co-founded by Walt Disney’s own daughter the late Diana Disney Miller who wanted to share the life, work, and legacy of her father with the world. There are 2 buildings to visit while you’re here. 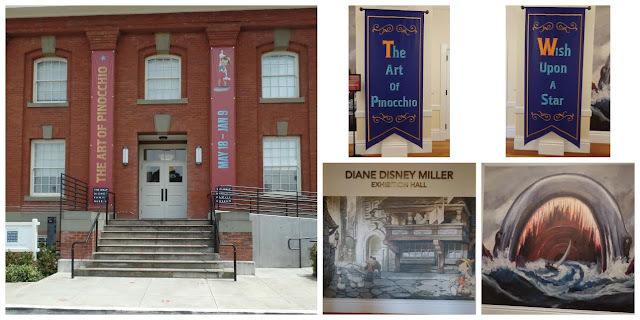 The main museum and the Diana Disney Miller Exhibition Hall located just behind the main building. The Main Building has 3 different levels to it, The Lower Level, Level One, and level 2. Down in the lower level you can find the Theater Gallery and Theater, where you watch the film of the month. The movie is included with the price of admission; just make sure you ask for your theater tickets when you purchase your museum tickets at the front desk. On Level One you can find the Café, The Museum Store, and Lobby. The Lobby is full of awards from Walt’s films and accomplishments throughout his life. Here you will start your journey into the galleries and the beginning of Walt’s life. There are 14 different galleries that make up the Museum, going through a time period of 1901-1966. 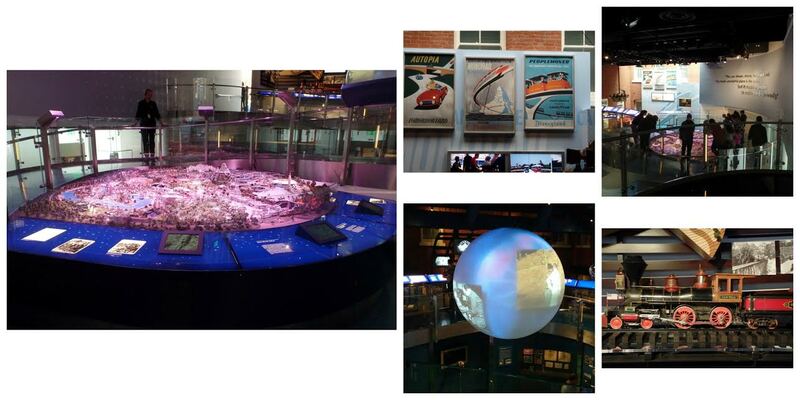 Along with many family pictures there are also family treasures, and interactive stations along your journey. One of my favorites is the Synchronizing Sound Station. Here you can put on headphones and play instruments to accompany the sounds need for the film Steamboat Willie. It will take a second to get the hang of it, but its lots of fun! There are also other interactive stations along the ways so look out for them. Also one of the highlights of the museum to me is the diorama of Disneyland. Staff at the museum says “It’s the Disneyland of Walt’s imagination, meaning it represents attractions that he saw come to life, and some he only dreamed of”. You can see ride from Disneyland’s past here and how they layout of the park if much different than it is now. 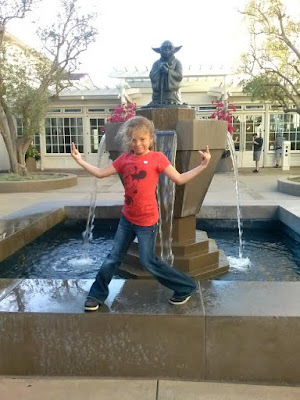 My daughter love this area and could hang out here for a while looking for Walt in it. He’s hidden in 2 different places with is daughter, can you find him? Give it a try when you go! Also in this area you can find lots of Walt’s projects from the 1950’s to the 1960’s. Once you get close to the end of the galleries you’ll come to the Epilogue, the saddest are in the whole museum if you ask me. Here you will hear the radio announcement made when Walt Disney died on an old fashion T.V set. It’s truly a room that will move you to tears. 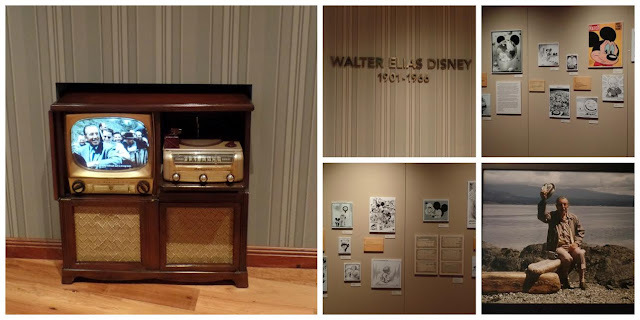 You can listen to friends and staff talk about the moment they first heard about Walt’s death at a listening station, and along the walls you can read articles published. This is an area where a tissue is a must to bring. After all the crying you’ll come to what some call the White Room. Here take a chance to sit down and enjoy the pictures on the walls. They are truly inspiring and beautiful! 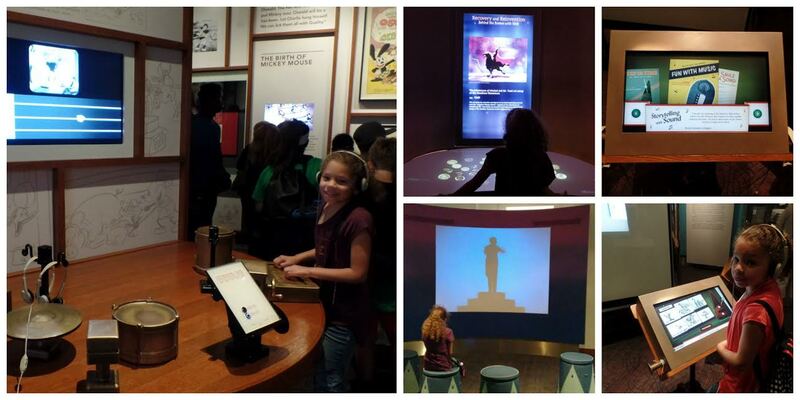 After your trip through the museum you can also visit the Diana Disney Exhibition Hall. This is where they showcase special exhibitions that change about twice a year. This time when I went they were showing off The Art of Pinocchio. While you are able to take pictures throughout the museum as long as you don’t use a flash, the Special Exhibitions are different. No photos are allowed to be taken inside but you can snap a few shots of the art in the lobby. 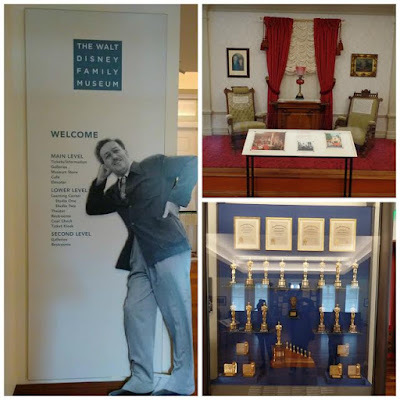 While you visit to The Walt Disney Family Museum may be coming to a close there are still some very cool places to visit while you there. Lucasfilm Ltd. is located just a few minutes away at 1 Letterman Drive. While you can’t go in a visit there you can take a pretty cool picture at the Yoda fountain found in front! While there are so many more pictures I can share with you, it really wouldn’t do the museum justice. It’s a great place for adults and kids to share in the memories and stories of Walt Disney and his family. And a must see place for any Disney fan visiting the Bay Area. Tip: There are 2 Montgomery Streets in San Francisco so make sure you include the right zip code in any GPS systems. Thanksgiving Day and December 25th. Admission is free year around for active and retired military, their spouses, and dependents. Children 5 and under are Free with adult admission!